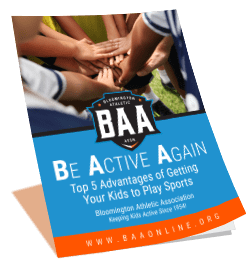 BAA - Keeping kids active since 1954! 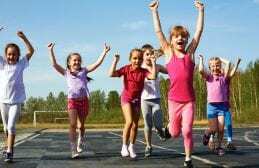 Keeping Kids Active Since 1954! 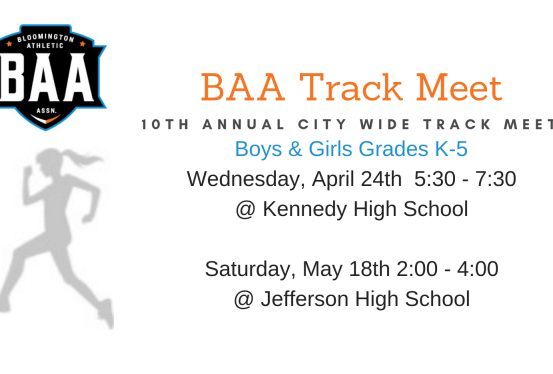 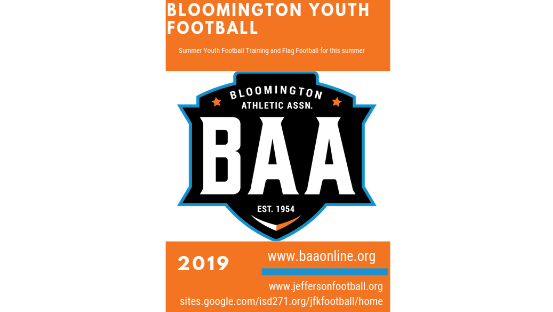 Since 1954, The Bloomington Athletic Association has been focusing on making youth athletics available to children in our community. 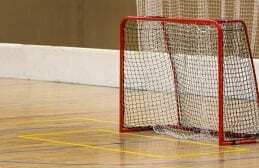 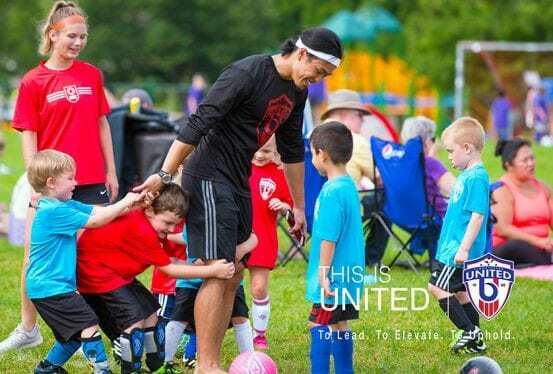 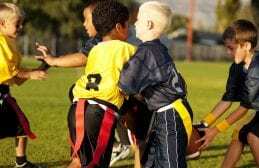 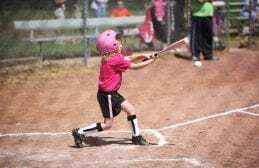 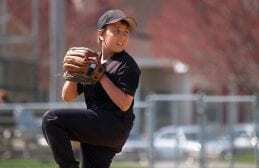 We provide low cost organized youth sports with help from hundreds of parents and community members volunteering their time each year to provide quality recreational league sports. 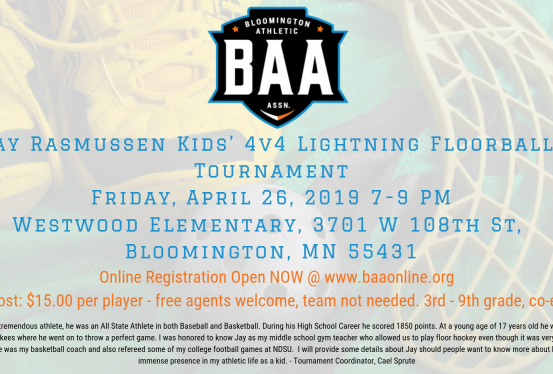 If fees are an issue, BAA offers scholarships to provide equal opportunity to play for all youth. 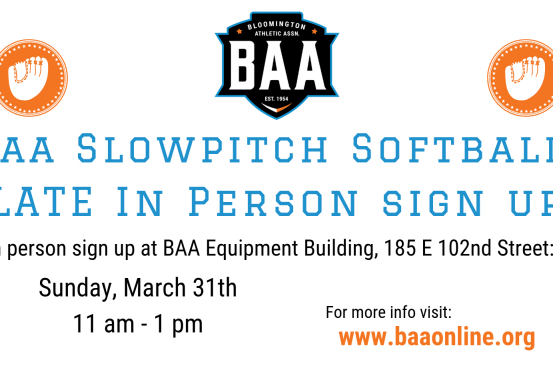 BAA’s philosophy has remained the same for over 6 decades: offer youth organized sports without tryouts, without regard to ability, and at a cost affordable to all.